If you’re struggling to find one of the many DSS houses Stourbridge has to offer, then look no further than DSSmove. Here, we can help you get that little bit of luck you need to find one of the DSS houses Stourbridge has that’s perfect for you. We have an incredibly large database of all the DSS properties Stourbridge has, and we’re certain we have something for you. As a place to live, Stourbridge is the perfect quintessential English market town and, because it’s less than 15 miles to Birmingham, commuting is simple too. If you want to see the best DSS housing Stourbridge has to offer you, simply use our straightforward search tools down the left hand side of the page - good luck. 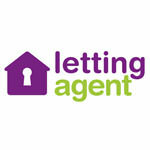 You can search what agents list property in your area and contact them.